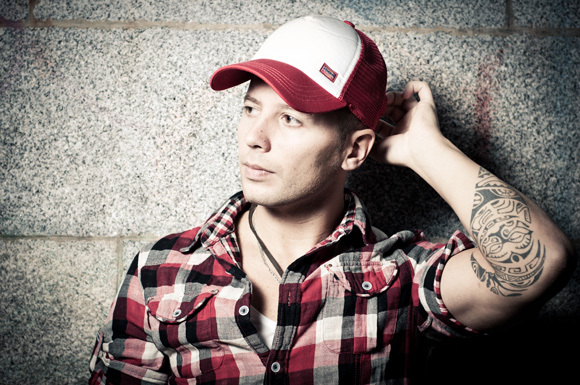 DANNY SERRANO is resident DJ at the world famous SPACE Club in Ibiza and he also played at the legendary Space Opening Fiesta 2011. On 15th October he will be playing for the first time in Vienna / Austria. He is also deejaying at the huge Space of Sound Festival in Madrid and at Pacha in Barcelona. His several productions are released on famous labels like Get Physical (Booka Shade), Steve Lawler's label Viva Music and Saved Records from Nic Fanciulli. In 2011 he was nominated in 4 categories of the Deejay Mags Awards. 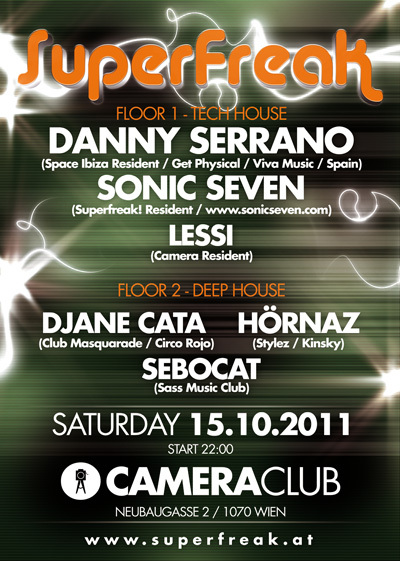 Floor 1: Tech House with our guest DJ Danny Serrano supported by Superfreak! resident Sonic Seven and Camera resident DJ Lessi. Floor 2: with our Deep House experts Djane Cata from Chile, Sebocat and Hörnaz.